MediPharm Labs Corp. is Canada’s leading cannabis extractor, producing purified, pharma-grade cannabis oil and cannabis concentrates for advanced derivative products. Primarily focused on producing pharma-grade cannabis oil and concentrates. Wholly-owned 70,000 sq ft facility; manufacturing area & laboratories have been constructed to cGMP standards with ISO rated clean rooms and is operational. Pharma-grade critical environments, methodologies and discipline result in repeatability in manufacturing and thus, precision dosing. Current processing capacity of 150,000 kilograms of dry cannabis flower or trim per year; the largest licensed extraction capacities in Canada. Fully funded expansion underway expected to increase customized processing capacity to 250,000 kilograms of dry cannabis per year by Q2 2019. Build-out of critical environment labs and acquisition of state-of-the-art cannabis extraction, fractionation, and distillation equipment completed. Further customization of equipment for proprietary advantage. An agnostic partner to any Licensed Producers, with two revenue streams: White Label Production and Contract Processing. Material revenue generation in Q4 2018 and set to scale rapidly in 2019. Sales agreements signed with 4 Licensed Producers, including largest wholesale transaction for Cannabis Oil publicly announced to date in the Canadian industry: Sales agreement for 450,000g contracted and an optional additional 450,000g additional cannabis oil to Canopy Growth Corp., the world’s largest cannabis company. This oil will be further processed and sold under their brands. Long-term Cannabis Concentrate Program Agreements are in place with Licensed Producers James E. Wagner Cultivation Corporation, INDIVA Limited, Emerald Therapeutics Inc., The Supreme Cannabis Company and TerrAscend Corp. while in negotiation with several other Licensed Producers. Secured supply agreements for dry cannabis to process from 13 Licensed Producers, notably a long-term supply agreement with UP Cannabis/Newstrike Brands Ltd., as well as numerous bulk wholesale purchases from The Supreme Cannabis Company, and The Cronos Group among others. Research-driven, bio-pharmaceutical team led by Dr. Chris Talpas, Director of Quality Control and Assurance, renowned chromatography expert. Dr. Ina Dubinsky is the lead scientist for our Secondary Processing (Short-Path Distillation and Centrifugal Chromatography). 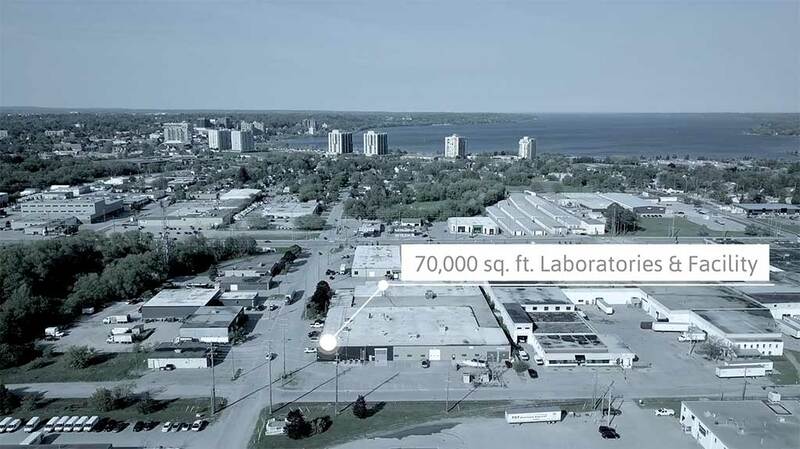 MediPharm Labs Australia PTY facility, which is a purpose-built, state-of-the-art extraction facility designed to produce the same superior pharmaceutical grade cannabis oil as the Company’s purpose-built Health Canada licensed cannabis oil production facility and laboratories in Barrie, Ontario is under development and is anticipated to be operational in spring 2019 pending licensing. MediPharm Labs’ Australian facility in Wonthaggi is expected to serve both the Australian domestic market as well as facilitate international supply chain and logistics opportunities, subject to receipt of applicable licences. Last private financing targeted at $15 million. Oversubscribed to $22.225 million. MMJ PhytoTech Limited and PowerOne Capital Markets Limited are strategic shareholders. MediPharm Labs has been added to Horizons Marijuana Life Sciences Index ETF (TSX: HMMJ). Management owns shares and has increased share holdings and investment in the company over time.